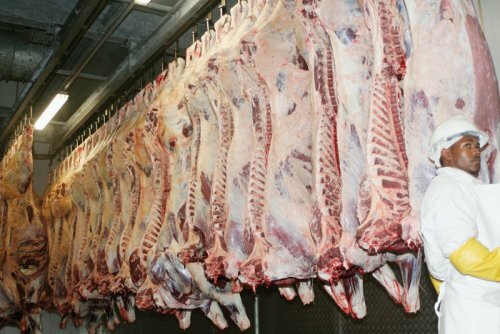 Botswana beef could be left "in the cold"
A market access regulation giving SADC states, including Botswana, duty and quota-free access to the European Union is expected to elapse soon, potentially squeezing the affected states out of the world’s biggest market for beef, minerals, textiles and other products, BusinessWeek has learnt. However, Botswana, will fall back on a 2009 interim Economic Partnership Agreement (iEPA) it signed with the EU, which will limit the potentially devastating effects of losing the EU market. It was revealed this week that the market access regulation, drafted and made available to the African states by the EU in January 2008, could expire within two years, leaving several countries in the cold. The regulation’s expiry is linked to the "inordinate delay" in the finalisation of a comprehensive EPA between the EU and SADC states. The EU’s outgoing Head of Section (Politics, Trade, Press and Information), Lena Sund, told BusinessWeek the regulation was a transitory arrangement put in place while a full agreement was being worked out. "The regulation is a bridging facility put in place between the Cotonou Agreement and the iEPA," Sund explained. "It is what allowed Botswana and other countries duty and quota-free access to the EU. "It was put in place in the expectation of a full EPA coming into effect, as we had promised the World Trade Organisation. The regulation does not have a duration on its own, but it will have to be terminated at some point as it cannot carry on forever. There are discussions right now about when it will be terminated, and I’m glad that at least Botswana has a fallback position in the iEPA." It is understood high-level European Commission discussions on termination of the market access regulation are directly influenced by the dimming prospects for an early finalisation of a full EPA. On the state of play, Sund said current negotiations were focussed on tariff issues between the EU and South Africa which, once resolved, would allow for other SADC members to re-start the end-game towards a full EPA. "There’s an issue of alignment between the trade, development and cooperation agreement South Africa had and bringing them into the EPA," said Sund. "There have been tariff offers and requests for a few months now and we are expecting South Africa to come back to us. Once this is done, the whole region will then meet again and talks can continue." The EU is reluctant to grant South Africa the full duty and quota-free access to be enjoyed by smaller SADC states in the full EPA because of that country’s level of development. Ongoing talks are on the tariffs to be applied for South Africa to enter into the EPA. The diplomat said negotiations on trade in goods and rules of origin had already been finalised between the EU and SADC, leaving South African tariffs and other full EPA issues outstanding. These "other" issues include trade in services, investment and matters such as sustainable development and intellectual property rights. "We have started on the other issues, but there’s no agreement on them," Sund said. "We are, however, looking forward to picking up the joint negotiations again." The EU expects joint negotiations with the SADC grouping to resume in September.